Instantly just as the instant was disappointment. For freeride a set of low aspect, high area wings is irreplaceable for lightwind, instant take-off and ability of almost stopping in turns if you wish to. No wonder manufacturers are back with low aspect surfing/pumping wings you can ride like that. Last edited by grigorib on Sat Dec 23, 2017 1:39 am, edited 2 times in total. Just a few sessions. Don’t believe everything you read here. The forum has become dominated by guys who seem to like slow turny stuff. I think it depends on where you live. Personally I love race foils for free riding. Once you have the skills they deliver amazing low end and speed and they jump to the moon. I love that knife edge feeling of pushing it as far as I can manage off the wind. I have a medium aspect foil I pull out when there are some waves but once the surf gets any good it’s hard to find a beach I can launch from anyway. So many awesome second hand race foils for sale yet guys are dropping the same cash or even more for a crappy aluminium foil when they could get so much more from a used Spotz or Sword. Stick with it and you will reap the rewards. For me low aspect wings are boring unless its to play in waves "or learning ofc" . Medium aspect wings are the most fun, where you can get good speed and acceleration and the foil still have a slow stall speed. High aspect are also very fun, just not for everything/everyday use, i think. For me neither. I started mid aspect and I'm quite happy with that. However if money was no object i'd have high aspect as well! Don't think I need any slower than my mid aspect foil. Same for me. Unless you like going super snail slow, I feel low aspect wings are too draggy. Medium aspect wings can be almost as slow but with a much better glide and speed range. I think it is a bit difficult to define "Low Aspect" ? 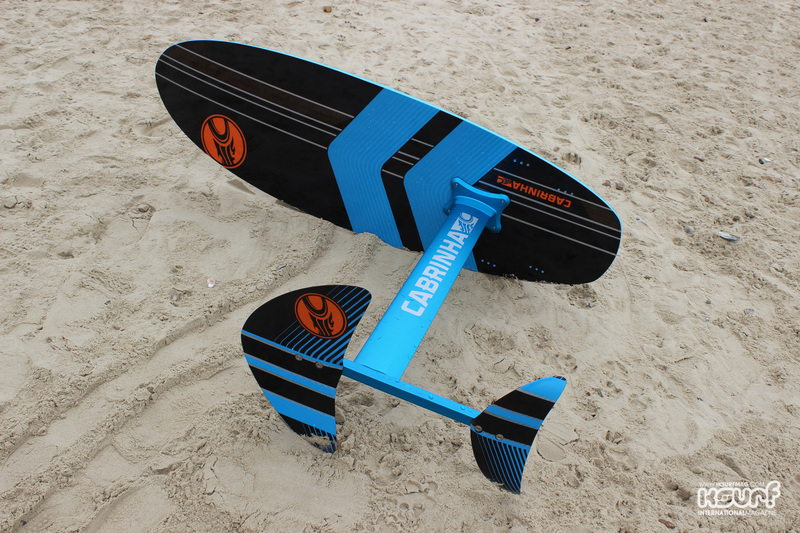 When kitehydrofoiling started for real worldwide about 5 years ago, many learned on low aspect wings, like the Carafino or similar, REALLY low aspect. Today many low AR wings are quite fast (and not as low AR as back then, so I think most are actually medium AR today), and race hydrofoils are way more stable, as stability is improved in order to be able to handle more power better, and also because design in general are more developed now. Of course carving and jibing and so on will take time to learn - but to just "ride", easy. Having said that, those trying to learn on these when never having hydrofoiled, some learns on these without much fuzz, but a few borrows an "easier" wing while learning (having tried the race ones for some days), and then jump to their race gear later after having learned on something easier. Here's my take on aspect for hydrofoils. Lots of variables there, the first is what can you do on your low aspect wing? Can you do all the jibes and tacks specially in low winds? If yes then ill say the high AR will be just a matter of time, not much. But for learning the high AR one makes things much harder.